With the Accu-Chek Safe-T Pro Plus and Accu-Chek Safe-T Pro Uno lancets, you’re able to choose the best lancet for your patients and your staff–improving patient comfort and workflow efficiencies. Both lancets are designed to reduce the spread of infection and meet the latest safety requirements while minimizing pain for patients. 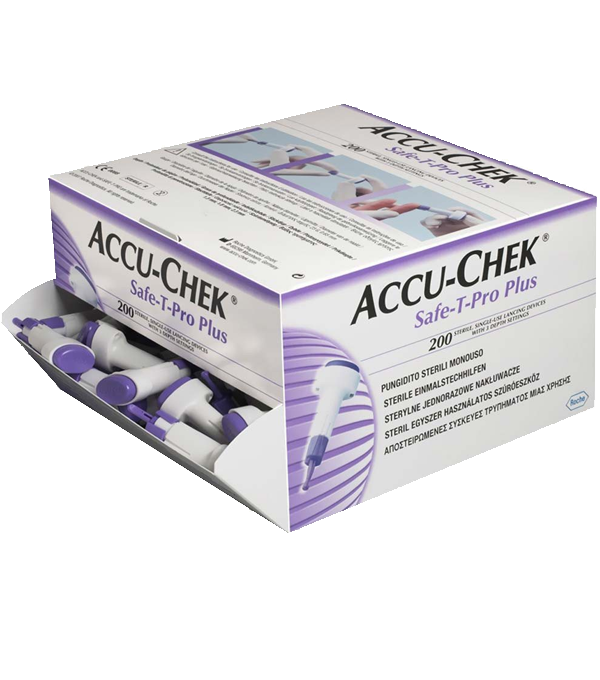 Accu-Chek Safe-T-Pro Plus are not only designed to work seamlessly with but are also suitable for all your blood sample needs. Accu-Chek lancets are backed by the superior service and support you’ve come to expect from our Info center.